A dozen middle-aged woman wearing a hat looks deftly plucked tea leaf one by one, and then put it into the basket hanging on the shoulder. When fully charged, each capable of producing tea picker tea in basket weighing 10 kilograms. In one day can be two to three times a basket is filled. Such activity occurs nearly every day in Jamus Tea Plantation is located in the hamlet Jamus, Girikerto Village, District Sine, Ngawi regency, East Java Province. Location agro tea is closer than Sragen which only 40 km to the east, while west of the City Ngawi is 45 km, and when taken from the city of Surabaya about 245 km. Plantation at an altitude of 800 to 1,200 masl, the classified types andosol and regosol. Average rainfall in Jamus 2.500 mm / year with temperatures ranging from 18-20 degrees Celsius and humidity of 80-90 percent. Such conditions make the area become the object of agrotourism Jamus charming and comfortable, and love to pass. So that the location is used as a tourist area in the region Jamus be shady, shady due to various timber species are planted and growing management experience over a hundred years old. One of them is quite interesting, kantil giant trees over 100 years old near the gate where recreation Jamus. This natural monument remains protected, so do not be surprised if Jamus Tea Plantation Kalpataru award in 2004, his concern to maintain the environment. 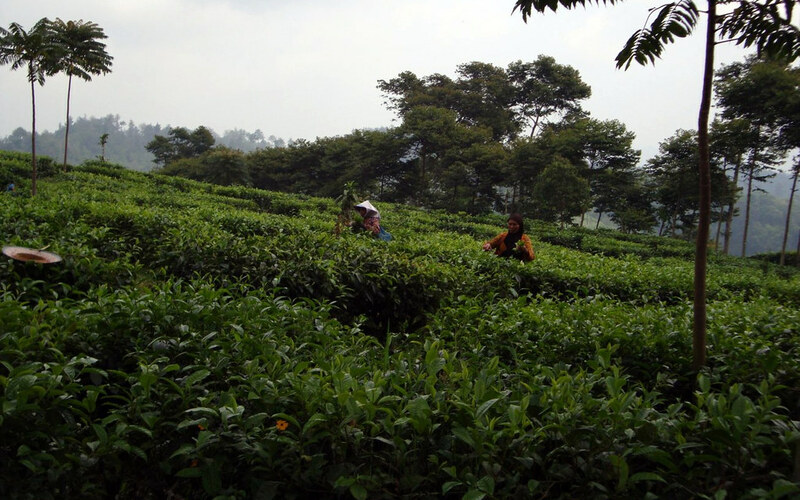 Agro Jamus Tea gardens, besides offering captivating views, also provide educational value to witness the process of plantation activities, from planting, picking up tea processing to packaging to be ready to sell. The management, also provides a guide who explains the whole process on plantations of tea every month menproduksi 40 to 50 tons of raw materials for green tea and black tea factory packaging. 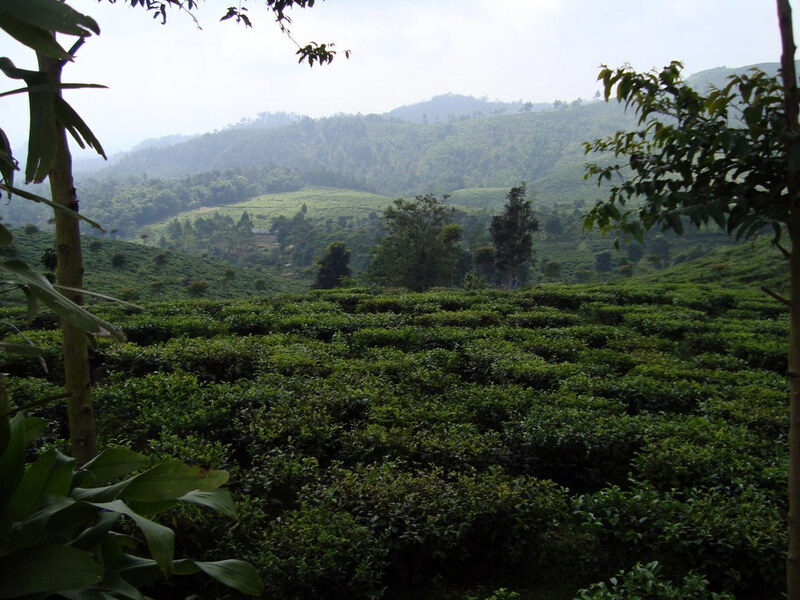 Jamus Tea Plantation presents everything that exists in nature, which will not be built resorts or hotels in this area. But, Regency and the manager seeks to empower local communities, to prepare a "home stay". Enough tourists staying in the homes of residents who had managed the local government. One of the tea tree-covered hills in the region Jamus Tea Plantation become a tourist draw, because of its shape which resembles the Borobudur temple, also known as the "Borobudur Hill" or the Mount of Borobudur. 35.4-meter-high hill with a total area of ​​3.54 ha, 35 400-an overgrown tea tree, viewed from a distance the staircase tea tree hedge, is similar to the Borobudur Temple. At the peak of Mount Borobudur left some old tea trees are deliberately not trimmed, the average height of two meters. This is an old tea trees over 100 years, is the first generation of tea tree planted by Van de Rap. To reach the Mount of Borobudur, visitors must tread tire ria 117 steps made of stone piles, arranged quite neatly. In the cool air recreation area entrance wearing only Rp 2,000, 00 per person, there are swimming pools that are intended for children, where the water comes from natural springs Sources Lanang (male). The water was quite cold with temperatures ranging from 15-22 degrees centigrade. That said, many local residents believe that the water source Lanang which can be directly used to be able to drink without boiling the ageless. Water from Source Lanang been studied in the laboratory, the result of high water contains minerals that can nourish the body. Sources of water discharge Lanang 90 liters per second. Based on the potential of that, the tea plantations in addition to managing kebuh also utilize water resources for power generation, micro hydro electricity generating 90 thousand watts.